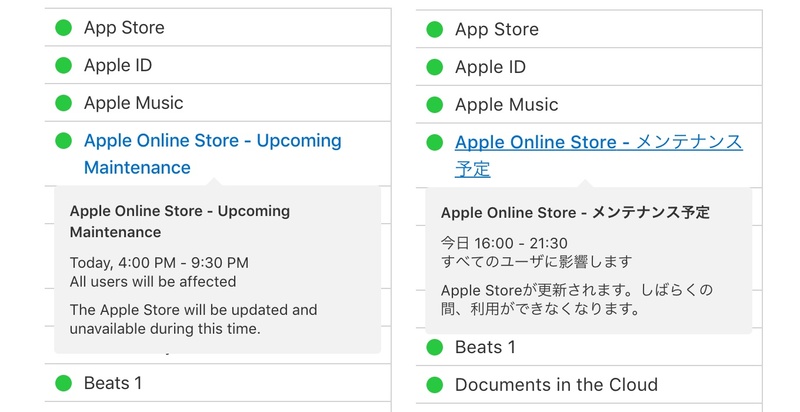 Apple、日本時間2017年3月21日16時～21時30分までApple Online Storeのメンテナンスを発表。 | AAPL Ch. The timing of the downtime will naturally stir speculation given that Apple is rumored to launch new products as early as this week. Moreover, Apple commonly issues press releases at 8:30 a.m. Eastern Time, which is exactly when the so-called “maintenance” update is scheduled to be completed.